Disney’s Sleeping Beauty was the last adaptation of a fairy tale the studio produced before Walt Disney’s death, released sixty years ago in January 1959. The fourteenth-century princess Aurora is born into a charmed existence, and in comparison to the two Disney princesses who came before her, she has a happy family and relatively few daily duties. Snow White and Cinderella are both forced to work in domestic roles by their stepmothers; Snow White also works with the seven dwarves to tidy up their cottage, and Cinderella sweeps and cleans and takes care of her household with the help of her animal friends. Meanwhile, Aurora is introduced as an infant, and a passive and privileged figure. The entire kingdom comes out to present gifts to the newborn Aurora, including the three good fairies Flora, Fauna, and Merryweather. When Maleficent curses Aurora to prick her finger on a spindle before her sixteenth birthday and die, it does not seem coincidental that the thing deemed a threat to Aurora’s safety is an object of female labor. King Stefan burns all spinning wheels in the kingdom in a massive bonfire, and Aurora is shielded away from any hints of work or worry, all threats to her carefree childhood cast entirely out of her sight. Aurora is frequently deemed one of the “least interesting” princesses, but perhaps that is because she is given practically nothing to do: she has very little dialogue and even fewer choices to make. Sleeping Beauty represents some aestheticized image of female passivity, a magical vision of women in an effortlessly perfect domestic realm. To be protected even further from Maleficent’s curse, Aurora is raised away from the kingdom under the new name of Briar Rose, with the fairies disguising themselves as “peasant women” and vowing to handle of all the childcare and domestic labor in a remote cottage. They conjure up this idea very rapidly, as a romanticized version of family life and homemaking. But housework is seen as something alien to the royals and those in their court: when the fairies cook up a plan to raise Aurora away from the kingdom, they must also wonder: “But who’ll wash? And cook?” Yet they ultimately decide to do their household tasks without magic, the way humans do, even if they admit they don’t really know how. The fairies are presented both as nurturing mother figures and as magical beings removed from the mundane human realm. Though they manage to successfully raise the child for sixteen years without magic, all of that unseen in the film, which skips ahead to Briar Rose’s sixteenth birthday. Hints of the difficulties of non-magical housework come when they comically fail at baking an elaborate cake and making a dress for her, unable to measure or follow the dress pattern. The cake collapses into a puddle, and the dress is a Frankenstein’s monster of pink fabric and bows haphazardly stitched together. Yet this must be remedied: they can’t very well present those creations to a soon-to-be-princess or shatter her vision of a perfect life, and so they must turn to magic to create the ideal birthday surprise. When Briar Rose is out of the house, the fairies lock the doors and close the windows before breaking out the wands to help them clean, bake, and sew. Housework through magic is portrayed as a creative activity, an animated fantasia, a colorful burst of domestic creativity. The brooms and mops dance across the floor and the cake ingredients assemble in midair, the ultimate fantasy of labor without a laborer. Yet this still must be hidden from outside eyes so that the fantasy can remain intact – domestic labor is apparently at its most magical when it is invisible. Aurora is asleep to her true identity as a princess for her entire adolescent life; yet no matter where she goes, she faces confinement indoors and in societal roles. As Briar Rose, she is restricted from meeting strangers and collapses on her bed in tears; yet Aurora also cries in the castle when the fairies present her with her tiara. Either path seems to preclude her from being with Prince Phillip or having the freedom to choose what she wants. 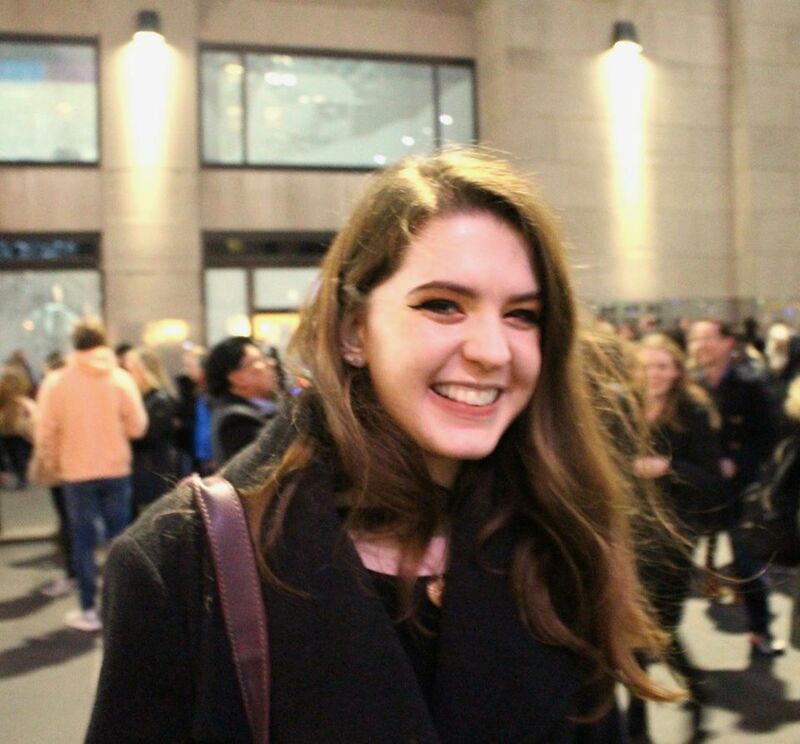 And even if she does get to be with Phillip, that also means being pushed into the role of wife and mother: Prince Phillip’s father is extraordinarily eager for Aurora and Phillip to get married and have grandchildren as quickly as humanly possible. Aurora is rendered without any agency or autonomy: the climactic battle against Maleficent is left to Prince Phillip, while Aurora must sleep inside awaiting her kiss. “One day you’ll awaken to love’s first kiss,” a chorus of voices sings at one point; “til then, Sleeping Beauty, sleep on.” In some darker tellings of the Sleeping Beauty folktale, the princess even literally sleeps through labor, giving birth to twins while still unconscious; this of course is left out of the Disney version. Yet even without that plotline, Aurora is still removed from any direct confrontation with her antagonist or visible depictions of labor. The whole kingdom is put to sleep by the fairies along with Aurora, so that none of them will have to be heartbroken by seeing her asleep and it is hard not to see the implications of class divide here: the royals are frozen in place, blissfully ignorant to any struggle, while Maleficent’s dragon form threatens to destroy the whole castle. Even if the fairies and Prince Phillip aren’t exactly ordinary citizens of the kingdom, they ultimately take on the task of defeating Maleficent and restoring happiness to all; Aurora’s sleep is overcome with a kiss, and domestic bliss is achieved. In the final scene, Aurora and Phillip enter, satisfying both of their fathers’ desires for their children to be married to one another—and as they dance, the fairies to duel over the color of her dress with their wands. Besides her earlier clandestine meetings with Phillip, Aurora doesn’t do anything for herself in the entire film—or perhaps isn’t allowed to, given her gender and social status. Again and again, it is reinforced that the princess is not meant to work, but is meant to be taken care of by those around her—and that seems to include taking care of the narrative of her own movie. Her privilege of being a beautiful princess is also her curse, both the actual curse she placed upon her as a baby and the curse of merely being a woman in medieval times. 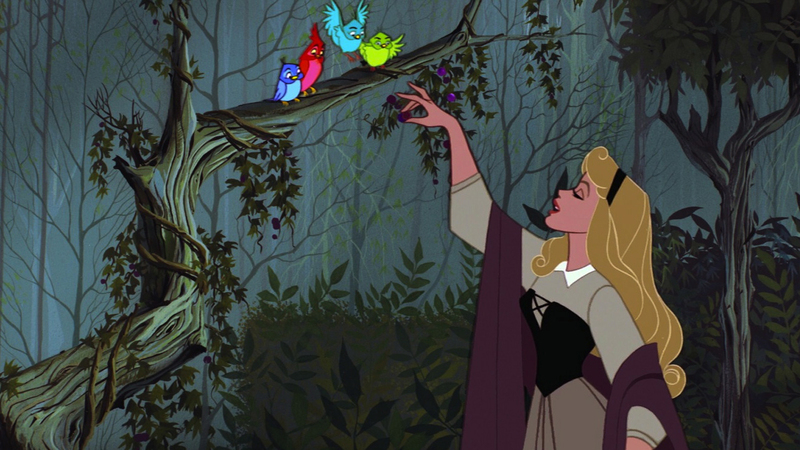 Sixty years later, Sleeping Beauty is still an iconic work of gorgeous animation, its painted backgrounds and art direction blending both distinctly medieval and Art Deco influences. Perhaps Aurora herself has been overshadowed by latter-day Disney heroines given more dialogue and songs to sing, or with more overtly feminist plotlines. The film is bookended with shots of a jewel-encrusted storybook depicting the tale of Sleeping Beauty, directly acknowledging its fairy-tale origins and removal from the real world, existing as a dreamscape of feminine fantasies, carefree existences, and happily-ever-afters. Just as Aurora sings in the forest, though, “Visions are seldom all they seem,” and just because all the hardships of domestic work or female labor aren’t directly shown or discussed onscreen doesn’t mean that they don’t exist.